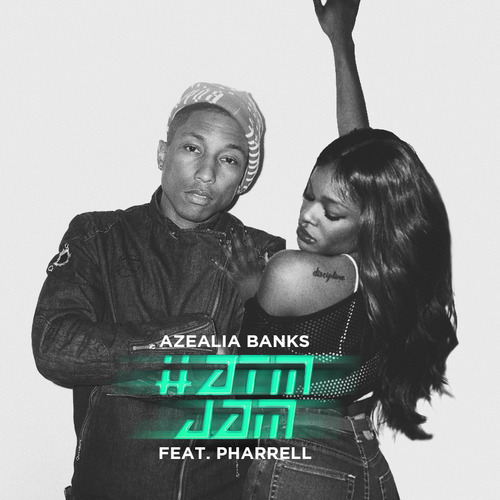 An interesting track, that seems to be a more commercial offering from Banks, with a simple drum beat throughout the single, with Pharrell providing most vocals on the track and then Azealia jumping in now and then for a bit of a rap. We thought this was her track featuring Pharrell?!?!?! "She wanted to rap or something and wanted me to write a song, and I couldn’t come up with anything that I thought would be appropriate for her just because I’m so raunchy, but I wrote the song. I wrote like some verses on it and he [Pharrell] was just like ‘you should just keep it'"
Well we actually like the track and think it will grow Azealia fan base as she corsses more into the commercial market. Check it out below and let us know what you think..!